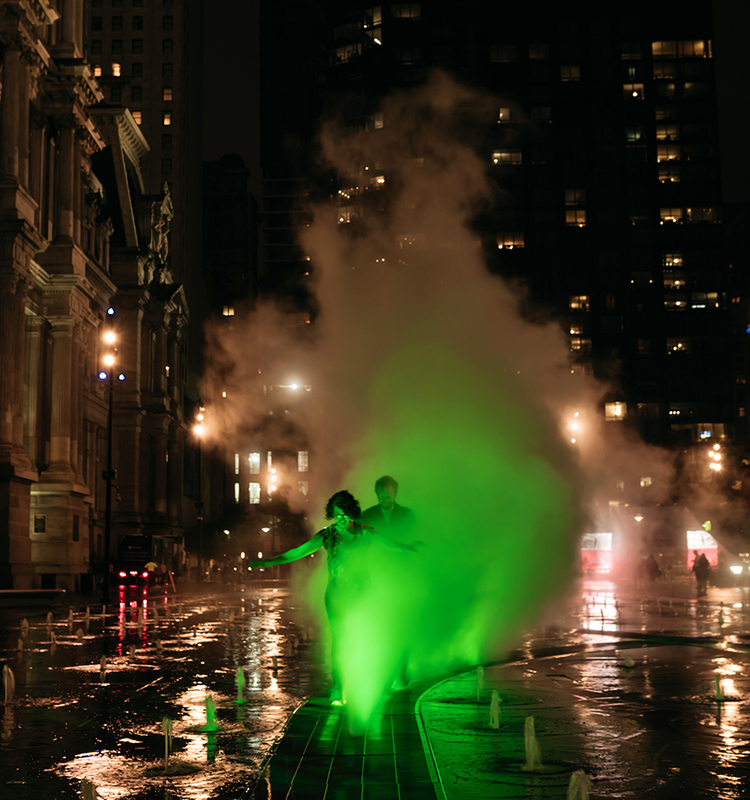 at philadelphia’s dilworth park, artist janet echelman is reshaping the urban landscape with a monumental public sculpture that reacts to the surrounding environment. 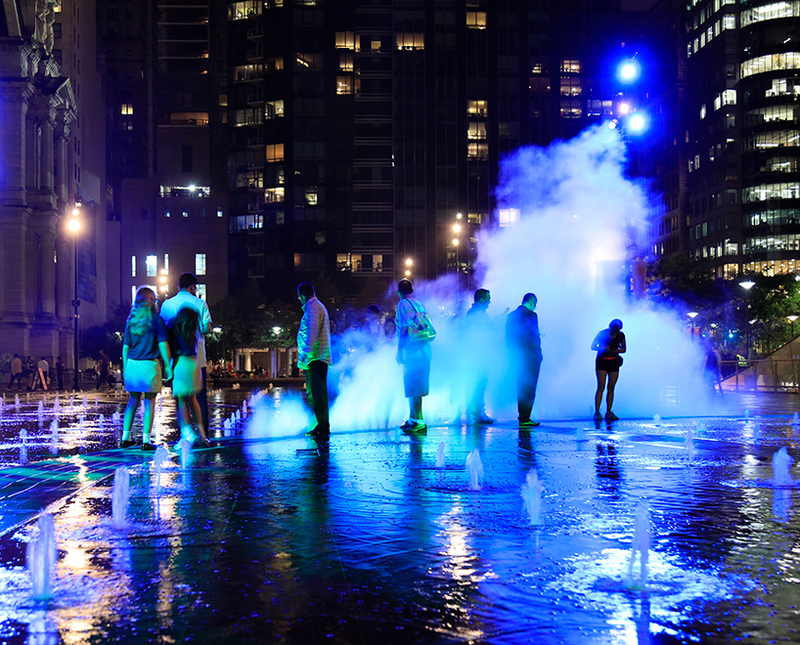 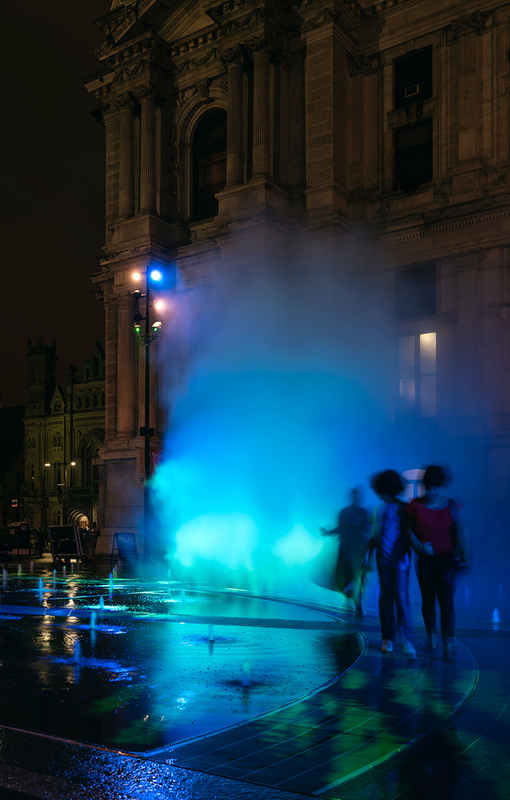 described by the artist as ‘a living x-ray of the city’s circulatory system’, ‘pulse’ emits vibrantly colored mist curtains that fluidly move across the park’s fountain and trace the footprint of the passing trains below. 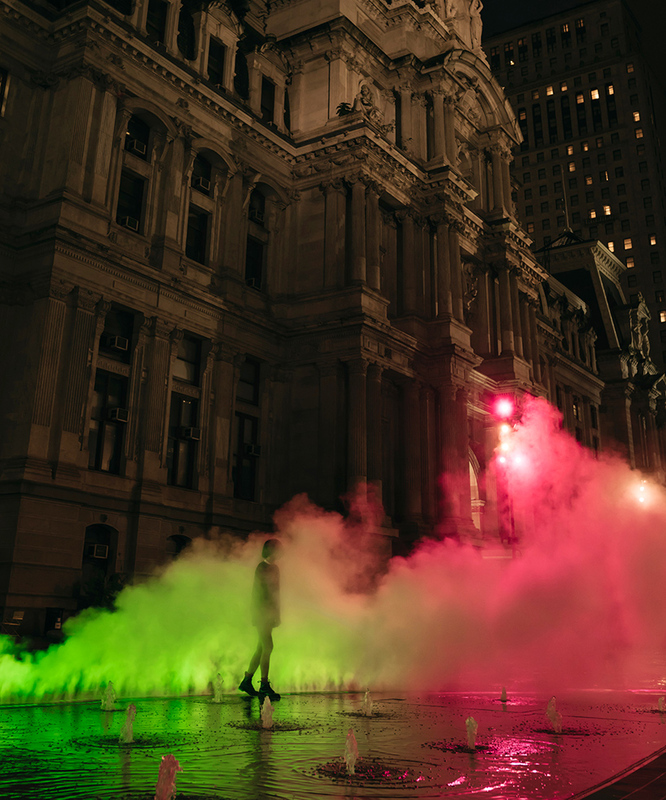 as SEPTA trains traverse beneath, 4-foot-tall beams of colorful atomized mist ephemerally follow the course of the transit lines. 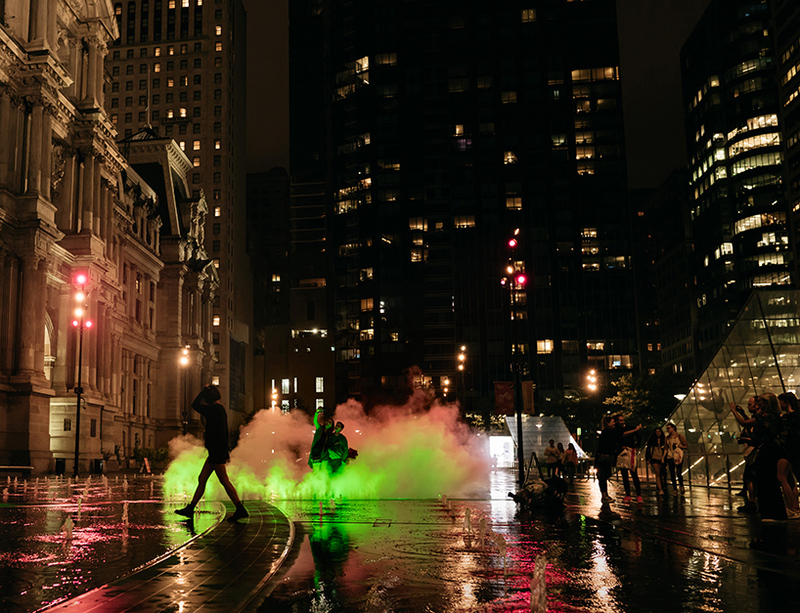 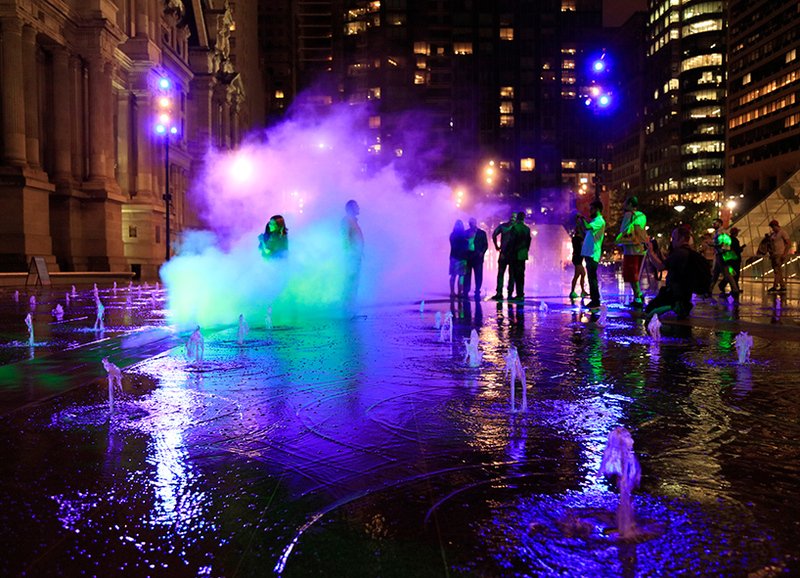 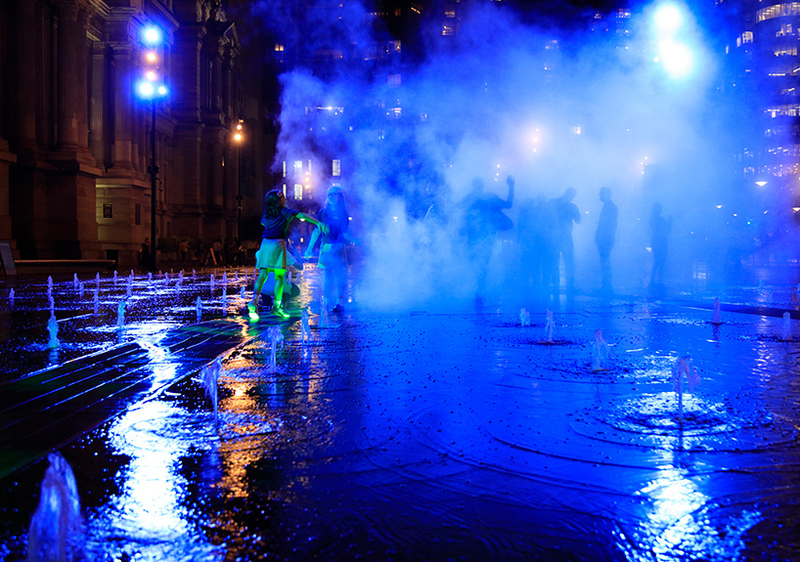 presented by center city district (CCD), ‘pulse’ draws from center square’s history as philadelphia’s water and transportation hub. 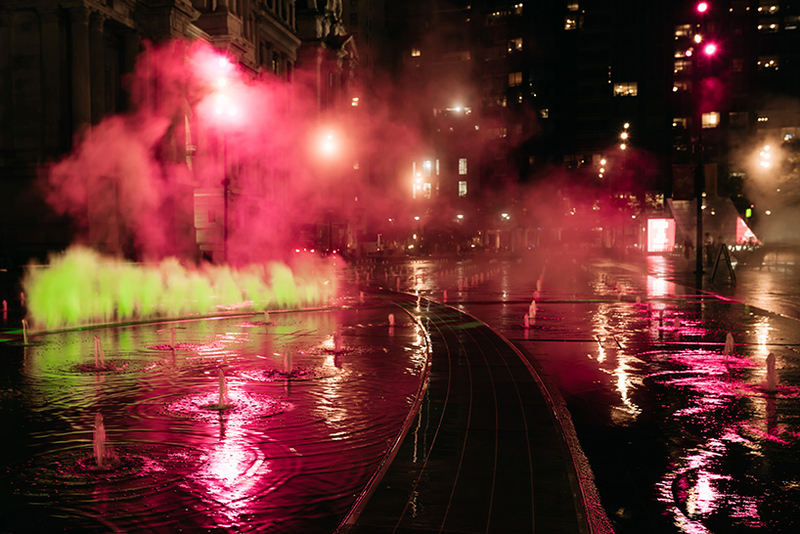 echelman and her team worked closely lead engineer urban engineers, landscape architect OLIN, and water feature consultant CMS collaborative from design concept through final implementation. 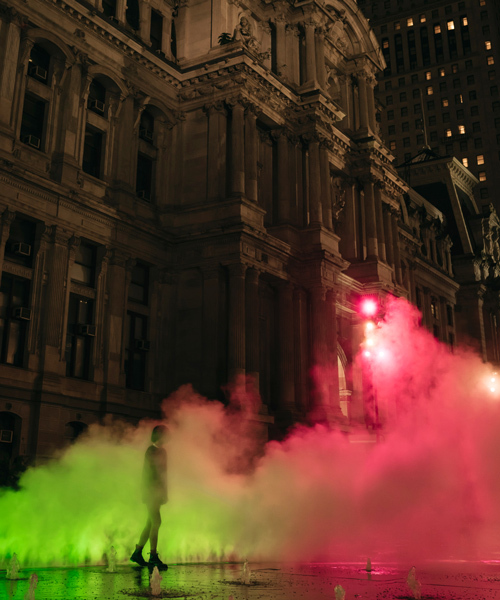 echelman generated the color palette by blending multiple individually colored hues of light, in homage to the paintings of mark rothko. 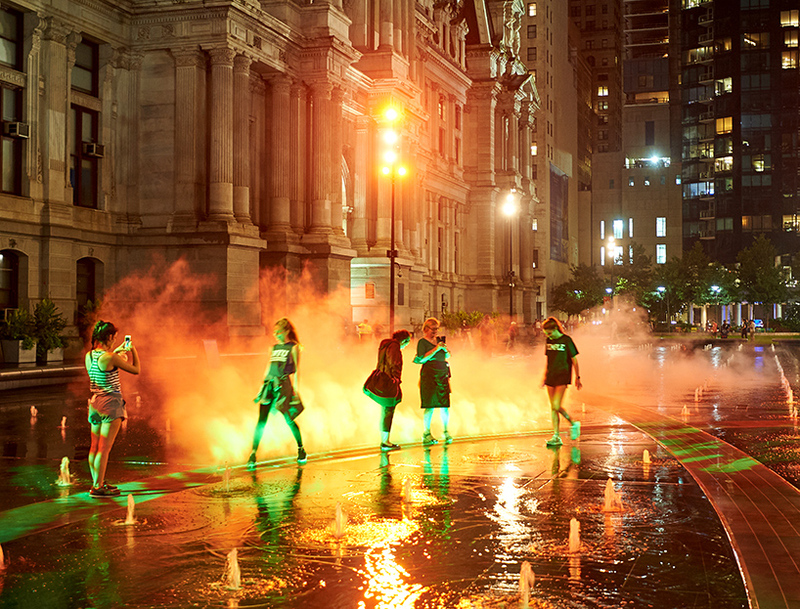 the launch of the first phase of ‘pulse’ on september 12 will help support fundraising to complete the remaining two sections of the installation, which trace the market-frankford line (blue line) and the broad street line (orange line).